For women of that certain age, the word can shout discomfort, fear, moodiness, sadness, and even grief. As I began menopause, I asked friends who were finished about their experiences. Surprisingly, many women didn’t have much to say. 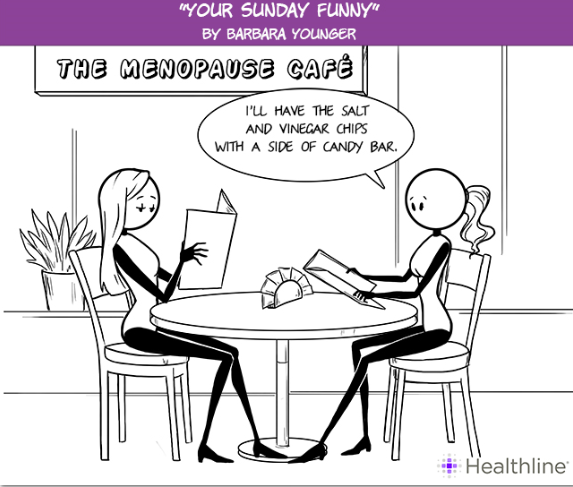 Sure they remembered some grumpy moments, some hot flashes, some creepily long menstrual periods, but for the most part, it seemed that the women, usually happily ensconced in the next phase of life, couldn’t remember the specifics of menopause. I wanted details. I wanted to know what they thought and felt, physically and emotionally, during those days. I wanted to know about them, so I could figure out about me. Most of all, I wanted someone to encourage me. I needed a wise menopause friend. A Friend for the Ride: Encouraging Words for the Menopause Roller Coaster is designed to take the worry out of the word. I blog about everything from night sweats and food cravings to those days that feel like slogging through a swamp in your old tap shoes. I touch on other aspects of womanhood and life, too. 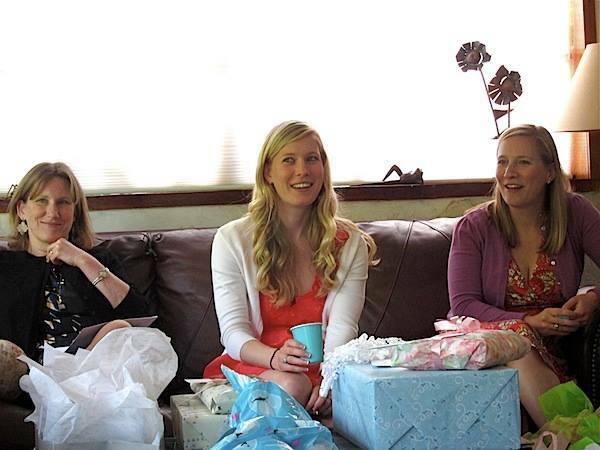 Three years ago, I had surgery for endometrial cancer, and I’m sharing that journey. The blog features the Ladies Room Door Art Series, Grandma Updates, and special posts on my adventures in downsizing. I live in a 180-year-old house in the small town of Hillsborough, North Carolina with my husband Cliff and collections of everything from dolls to Golden Books to hat boxes. And a granddaughter named Emerson. I’ve published over twenty books for adults and children, and I have an MFA in Writing from Vermont College of Fine Arts. You can learn more about my writing and me at Barbarakyounger.com. Art for Children: I’ve just started painting, and I’m having a blast with color, design, and story. Read more about my custom art here. A Word About Guest Posts: Join the fun! 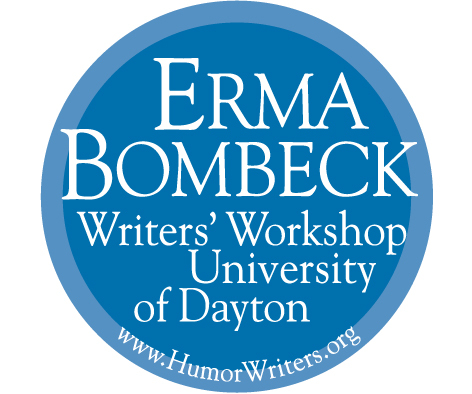 If you’d like to do a guest post, shoot me an email with your idea. I’m only looking for posts written in the first person. Put yourself into it! 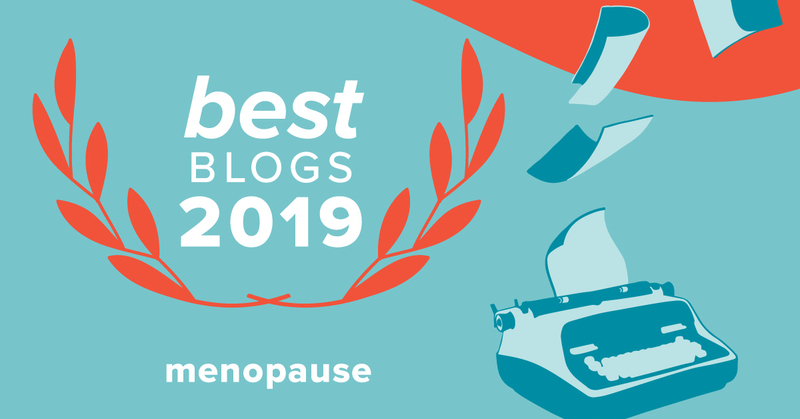 Thanks, Healthline, for voting me one of the top menopause blogs! i am too chicken for roller coasters too….but fun to do an imaginary ride with friends on the menopause coaster. Now’s the time girls. Menopause makes us brave! Sounds like fun as long as they will do my eye makeup for me. I just can’t seem to master eyeliner. Thanks for the encouraging words! I was on your daughter’s blog and she pointed me this way..I am 43 and have started going thru premenupausal(?!) or periomenupausal..This blog will really help me..No one in my family, except one sister, has gone thru meno…she went thru it for 10 years..now that is scary. So keep up the blog you are doing great. Pam, Keep reading and hope this helps you on your own ride. Don’t be scared. Count it all joy! Thank you, Leslie. I’ll be posting probably every other day. Tell your friends! We’ll all sweat this (pun somewhat intended) together. I will tell my friends for sure! PS-I’m the mom of two girls too. I’m just a bit behind you-they are 15 and 18. Thrilled by the topic of this blog! I am 47 and have been having those “can’t believe this is happening to me” feelings for about 6 months. It is getting easier to accept and I think your blog will help share experiences! Thank you! It can be a wild ride, but plenty to look forward to, too. 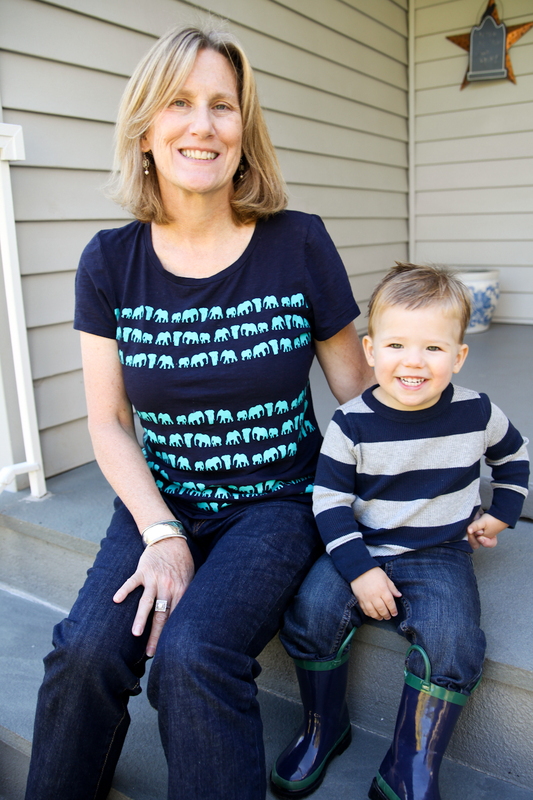 I’m so glad you stopped by my blog so I could get to meet you! I had to laugh when you said most women who have arrived at menopause (or The Great Pause as you call it) don’t have much to say about what it was like. It’s sort of like childbirth; once it’s over it’s over and the brain does it’s wonderful trick of amnesia. This is a nifty necessity for sanity, erasing all those god-awful memories! Or, it could be all the gallons of wine guzzled during those years… Either way, I got the same response from women I asked: “Oh, it wasn’t so bad.” But I remember being around these women during those years and they were NUTS! I can say that now that I’ve gone through The Change – I was NUTS, too! Now I’m just stubborn, set in my ways, and pretty much snarky and self-centered (but with a generous, soft heart.) Okay, sort of like a teenager again. And I LOVE it! My husband, on the other hand, can’t figure out where the “girl he married” went. I say Sainara! I like Menopause Patti. Everybody just has to adjust, I guess, or stay away. Anyway, I’m so glad to be here with you. This blog is incredible and I look forward to giving your books a look-see, as well as more of these blog posts. See ya ’round the blog-world! Thanks so much for your kind words. Interesting you found the same reaction that I did—women not remembering menopause. Great blog! You nail the ups and downs with grace and humor. Yes.. just when you think you’re “over”.. the symptoms return. Ugh! You had a nice plug from Hope Clark- isn’t she amazing? Hope you stop by my blog to visit! Thanks for your good words about the blog. Yes, I have Hope to credit! I had fun checking yours out and loved the To Kill A Mockingbird history and your time in the play. So cool! I just gave you the Good Apple Award! Have fun! Thank you! You must have known that today is my birthday! Happy Birthday! Hope this doesn’t create too much work– they’re fun but a bit time consuming! Happy Birthday! Hope this doesn’t create too much work- they’re fun but a bit time consuming. Have a wonderful day and many more! Sandra, Thanks so much! I’d love to have you do a guest post for Friend for the Ride. Hello Barbara, love the blog and I think I found it just in time. I’m on my way to 43 and want to get informed and prepped for the future. I have been told I may experience Menopause early due to never having children. Not sure if that is true or if I really even care when it happens, I just want to ride the wave out when it does happen, and no one ever seems to speak about it other than hot flashes, Looking forward to your posts and gaining insight. Thank-you for a much needed blog. Welcome! I wish I had been more prepared, especially for the emotional aspects. Menopause is an interesting time, in silly and serious ways. Thanks for your enthusiasm! Oh gosh… I can’t believe I am not the only one who forgot menopause. When I started to read your page, I immediately thought…. “can’t really remember much about it” maybe there’s a reason for that! Seriously my menopause was really a piece of cake (and pie and chocolate and wine) I had some night sweats but nothing like what other ladies describe. Here’s hoping your pause will be as easy as mine. MIne’s been medium but how about a guest post on an easy menopause? I put a comment on your blog too (earlier today.) Love a ’50’s post. Didn’t mean to ask you for two posts in one day. I’m a non-paying market but most writers report having a good time. Short posts are good! I came to your site via Ruth (Retired Ruth) and am happy to have found you! As a Certified National Menopause Practitioner (and Women’s Health Nurse Practitioner), I welcome any forum that provides encouragement and accurate information about this wonderful, perplexing time of life. There is too much misinformation out there! I am soooo glad to have found you! What an awesome blog! I am convinced I will never get thru this period (pun intended) in my life without embracing the humor. I look forward to embracing yours. Thanks so much! Let me know if you’d like to write a guest post. If so, shoot me an email anytime! I have been looking for you! I can’t wait to browse your site. I didn’t know what was happening to me. I thought I was loosing my mind. It wasn’t until I was jolted by my own thoughts of … giving up would be easier than continuing with life … that I realized I was definitely NOT ok and I sought help. Who knew that “just” hormones could mess with your sanity so thoroughly? I’ve since come to balance (after 3 years of torture). So glad to see your resource here and I’ll check out the other sources you refer here. Thank you. Thank you. I know my friends will enter this phase soon and now I know where to point them. Thank you! If you dig back though the blog, you’ll find lots of info. You are definitely not crazy. It’s those hormones that are crazy! It is estimated that in 1998, there were over 477 million postmenopausal women in the world. That number is projected to rise to rise to 1.1 billion by the year 2025. A study of menopausal women revealed that 80% experienced no change in quality of life. 62% felt positively about menopause. Ten percent of women said they were irritable, fatigued, and had feelings of despair during the menopausal phase of their lives.